Soft vinyl cover, spiral bound. 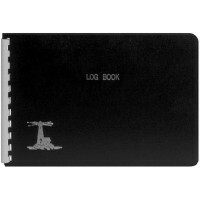 Pages for trip, log, radio, guests, maintenance. Size 8-1/2" x 11". 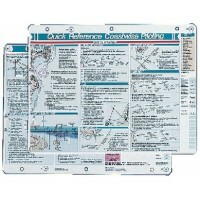 ..
Laminated hard plastic cover with plastic binder. 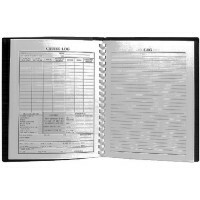 Includes title page, cruising sheets, guest log, r.. Features: Tides and currents, perspective view, elevation marina detail, photos and diagrams, points.. Covers all the basic procedures and equipment. Includes predeparture checklist, recommended equipmen..
Includes a choice selection of navigation tools for cruisers and racers. Contains a one-arm protract.. Puts all the piloting information you need at your fingertips. 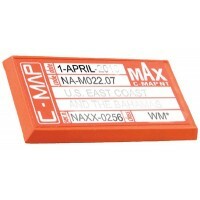 Includes dead reckoning basics, true,..
Has the new Buoyage System, inland and international rules, right of way, lights, sound signals, new.. Gives practical time-tested methods for making marine weather forecasts using nature's own signs; wi..
Contour Elite is the most revolutionary lake map planning software on the market. Strategic Fishing ..
Lakemaster now has new Digital GPS Fishing Maps for your Humminbird GPS/Chartplotter unit. 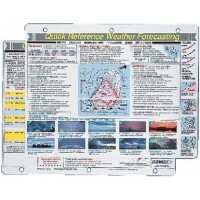 Lakemaste..
Maptech waterproof charts are a big improvement over large, cumbersome charts. Spread a chart out to.. 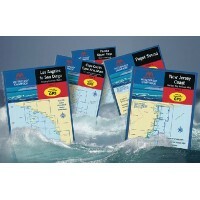 These easy-to-use, compact chart books are ideal for Day-Sailors, Fishing Boats, and Trailer Boats. ..
Ready to use with compatible DeLorme, Eagle, Furuno, Humminbird, Lowrance, Medallion, Murphy, Norths..
10, 000 Lakes on DVD!A DVD atlas of 10, 000+ top-ranked US lake maps for viewing on a PC, searching,..